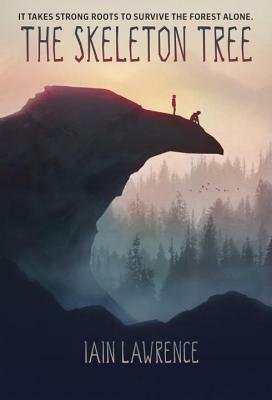 A modern-day adventure and classic in the making, in the vein of The Call of the Wild, Hatchet, and The Cay, by award-winning author Iain Lawrence. Less than forty-eight hours after twelve-year-old Chris sets off on a sailing trip down the Alaskan coast with his uncle, their boat sinks. The only survivors are Chris and a boy named Frank, who hates Chris immediately. Chris and Frank have no radio, no flares, no food. Suddenly, they’ve got to forage, fish, and scavenge the shore for supplies. Chris likes the company of a curious, friendly raven more than he likes the prickly Frank. But the boys have to get along if they want to survive. Because as the days get colder and the salmon migration ends, survival will take more than sheer force of will. Eventually, in the wilderness of Alaska, the boys discover an improbable bond—and the compassion that might truly be the path to rescue. Iain Lawrence grew up moving all over Canada with his family. He worked in logging, fishing, and even as a forest-fire fighter before studying journalism in Vancouver and working at newspapers for ten years. He is the author of fifteen books for young readers, including this one, and has received many accolades, including the Governor General’s Award and the California Young Reader Medal. He lives in the Gulf Islands with his companion, Kristin, and their dog and cat. He invites you to visit him online at iainlawrence.com.